A study has been carried out to understand the effect of pulse frequencies on the formation of laves phase, the microstructural and corrosion properties of Inconel 718. Bead on welds was made by using gas tungsten arc welding (GTAW) in pulsed mode at different frequencies such as 2, 4, 6, 8 and 10 Hz. Varying frequencies exhibit significant changes in weld surface ripples. Microstructural analysis revealed that the welds at 2, 4 and 6 Hz showed both columnar and equiaxed dendrite structure, while at 8 and 10 Hz, the welds predominantly had equiaxed dendrites. Scanning electron microscopy results showed a reduction in continuous laves phase with the increase in pulsing frequency. Corrosion studies confirmed that the pitting resistance was increased at a higher frequency due to the reduction in laves phase in welds. 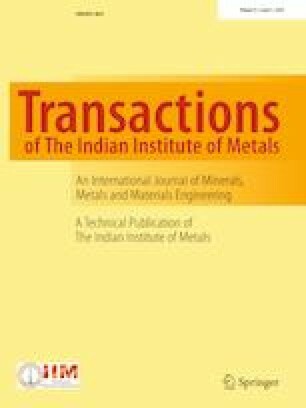 The authors are grateful to the National Institute of Technology, Tiruchirappalli, India, and Vellore Institute of Technology, India, for supporting this research work.